Kelsey Zachow's $66 million Mega Millions winnings were the largest ever won by a Michigan lottery player on a Friday the 13th. I bet she'll never hate that date again! John Travolta (pictured) and a host of well-known stars featured in "Lucky Numbers"... a film drawing on the experience of the Pennsylvania lottery scam. 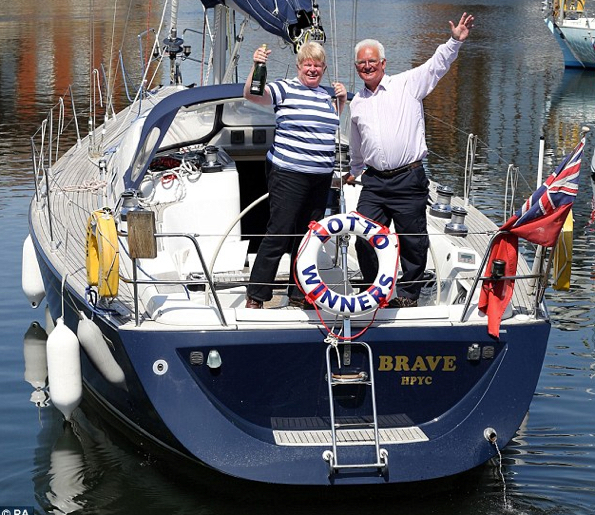 Cathy and Richard Brown, from Ipswich, celebrate winning a £6,123,395 lotto jackpot. If you think that playing the lottery to win is just a matter of taking my System tickets down to the store every week, that's only a part of it. And that's where most players go wrong. These Powerball balls stored in black cases are being loaded into a machine before a drawing. Few people know what goes on in the drawing of a lottery game. And fewer know about the balls themselves - most people assume they are ping-pong balls. So let's uncover the myth about what lottery balls are really made of and how they are used. John Travolta's home...and jets...and runway. I spend a lot of time in these articles telling you that dreaming goals will work. Pin a picture of your dream car on a vision board, write about it every day in a diary, and it will appear. But some people dispute that.